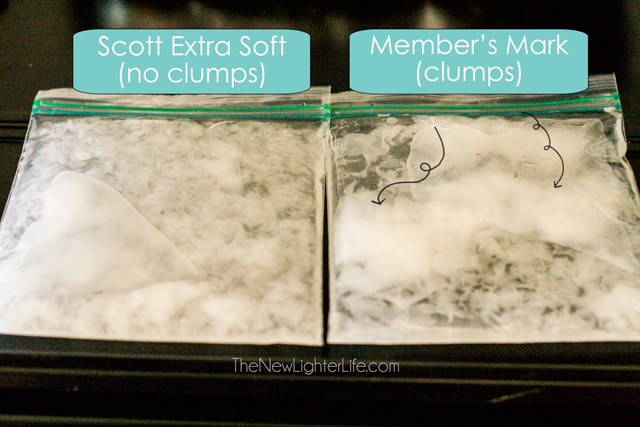 I just love easy and today’s little tip is super duper easy. These privacy shades are great but the tension can become too loose and stripped. So today I’m going to share how to fix the tension on an RV window shade. First take out the screw that is holding the plastic cord retainer. 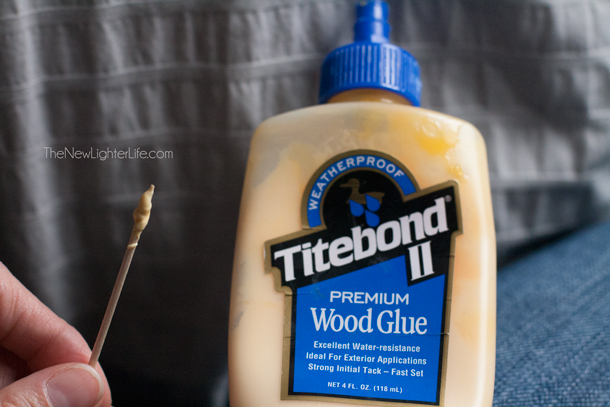 Next, you’ll want to take a toothpick or a bamboo skewer and glob some wood glue on the end. Insert the glued end into the hole where the stripped out screw was drilled. 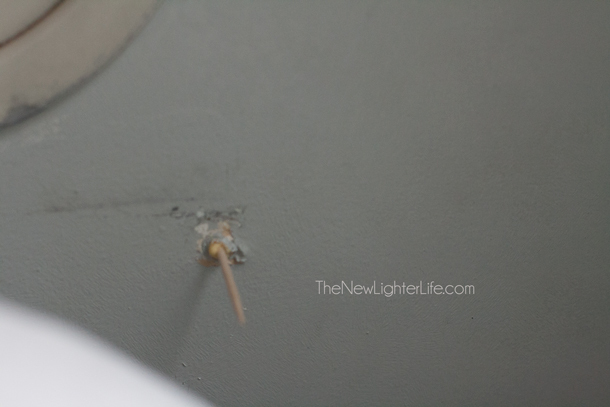 Break off the end of the toothpick or skewer that is sticking out of the wall so that the end is flush with the wall. 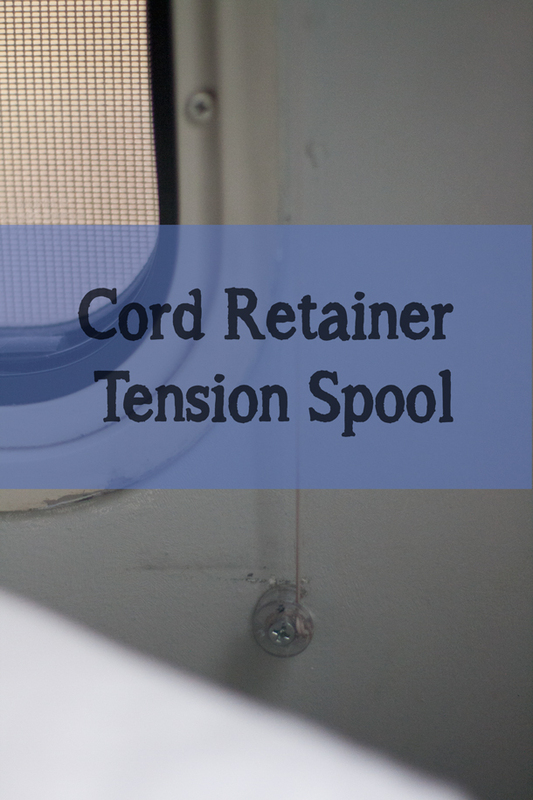 Wrap the cord around the plastic cord retainer until it is the correct tension to stop the blind from slipping down but still loose enough to easily raise or lower the blind. Drill the screw back into the hole that is now filled with the skewer or toothpick. Easy right? 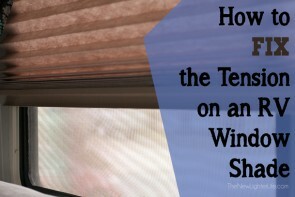 This will save you frustration with trying to keep your blinds up and you don’t have to drill a new hole in your wall. I get this question (and all sorts of variations) several times a month from blog readers and friends. Many times, when we decide to take a path that is different than the norm, we ignore the negatives. 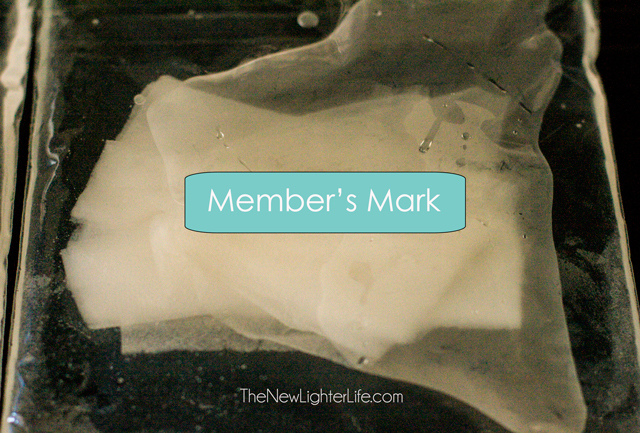 We rarely discuss the hard parts or challenges. We’re pumped and we become our own cheerleader. Now let me say right off the bat, I’m GLAD we moved our family of 6 into the RV. We learned so much about ourselves and were stretched. We got to enjoy the perks of living with less. 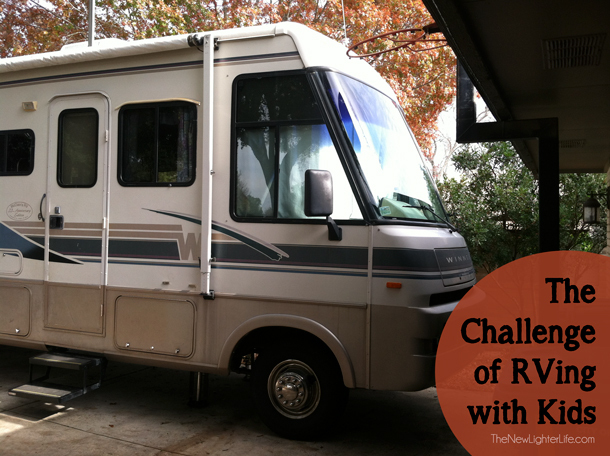 But today I’m going to share the challenges of RVing with a family. 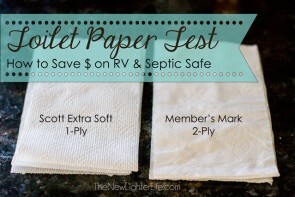 Many times, experience is the best teacher, but hopefully this will help some count the costs of full time RV living before they take the leap and move their children into an RV. Homeschooling Woes. Every family has their own set of challenges as far as homeschooling goes. For us, it was the 2 littlest kids, (1 and 3 years old) and occupying their time. There is no solice during school time and it seemed for our family, the smaller quarters made for more frustration and distraction for learning. Also, I had to limit our school books and learning kits. Nap Times are NOT so Peaceful. We have been blessed with light sleepers. <that may be slightly sarcastic> Every noise and movement of the camper affected the sleep of my kids, but nap times were especially trying for us. Any jumping at all during those times resulted rocking. If your kids sleep like logs, you may not have this concern one bit. I found myself getting onto my kid’s, (mostly my oldest son’s) case about jumping around. So my solution would be to send him outside during naps. But there was a problem with that idea…. Nosey Neighbors. Just in case you didn’t know, some campgrounds are not so friendly. The last campground we were at had a rule that any kids under 16 had to be supervised at all times. Don’t misunderstand me, I wouldn’t send my kids to the pool by themselves. But when my kids were playing beside our camper, in an empty site, the neighbor came out and told them they couldn’t play, (even though I could see them the whole time). That’s annoying. Less Chores. Less space, less room for error, less work for the under 12 crowd. Can you do it? You betcha you can! Those are just some of the things we hadn’t really thought through before we moved our family into the RV. 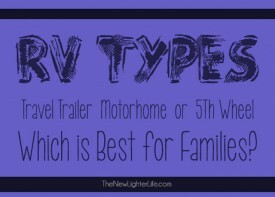 Hopefully this post gives you a view into some of the not so glamorous parts of RVing and children and helps you not just see the lifestyle through rose-colored glasses. Using a communal laundromat has some obvious challenges. After a year and a half of dealing with the laundry monster via a laundromat, I’ve come away with some tricks up my sleeve. Today I’m sharing 7 tips for using a laundromat. Use a Timer. At times I’ve left laundry in the machines too long after the cycle was done. A timer (or phone reminder) is the perfect solution. That or a sticky note on your machine in case someone is waiting on your machine. Clean the Machine. 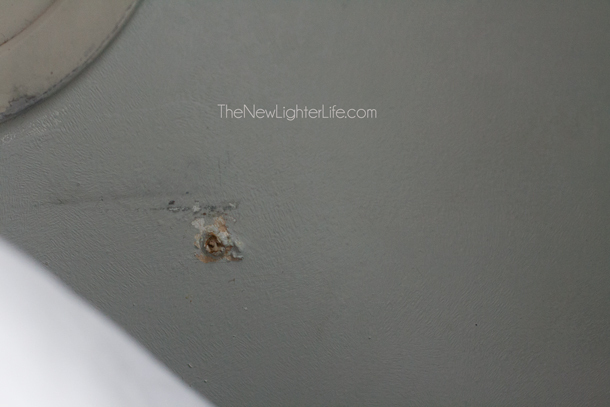 This may seem like overkill and it can be, but if a washer is noticeably grimy on top or inside the rim, I wipe it down with a dirty towel that has been soaped up. Towel goes in the wash and my clean clothes don’t get dirtied up when I take them out of the washer. Avoid Bleach Machines. This is not pleasant but after having a load of darks ruined by a machine, I recommend it. To determine if the last load had bleach in the dispenser, simply smell. Avoid that machine or run your whites through it instead of your darks. Fight Mold and Mildew. We do our best to let towels dry out between laundry days. At times I just can’t seem to stop the mildew smell from infecting our towels though. Adding 1/2 teaspoon of tea tree oil to the washer when towels are included helps to keep the mildew at bay. 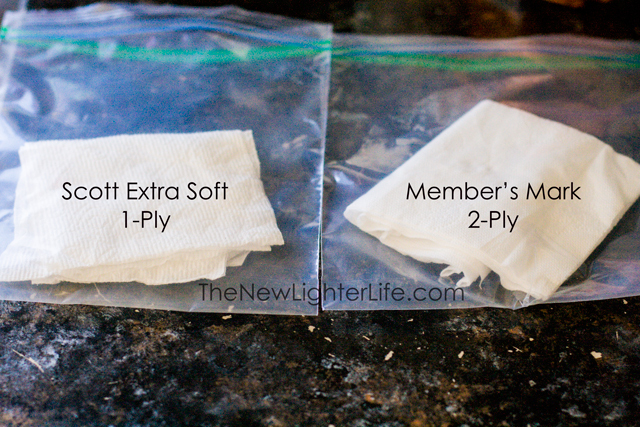 Use a Detergent Pod. I switched over to the pods because I got tired of lugging my big detergent jug to the laundromat. I love them. Now I recognize these pods are more expensive, but I’m no longer using too much detergent and the convenience is pretty sweet. Use or Make Color Catchers. To keep colors from bleeding on other clothing, I highly recommend Color Catchers. These are also handy when we have 1 1/2 loads of darks and only 1/2 load of whites, (we mix if necessary – I know – that’s a no-no!) You can buy Color Catchers or check out One Good Thing By Jillee and her instructions on how to make them yourself. Keep Clothes Dry in the Rain. Unfortunately, laundry day doesn’t always fall on sunshiny days. For those days, bagging folded laundry in a garbage bag makes sense. 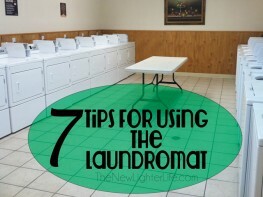 So those are my tips to tackling the laundromat. Any you care to add? Today’s post has been difficult for me to formulate. I’ve pondered this one for over a month now and haven’t figured out exactly how to share this bit of news so I’ll just throw it out there…. We are buying a house and moving out of the RV. 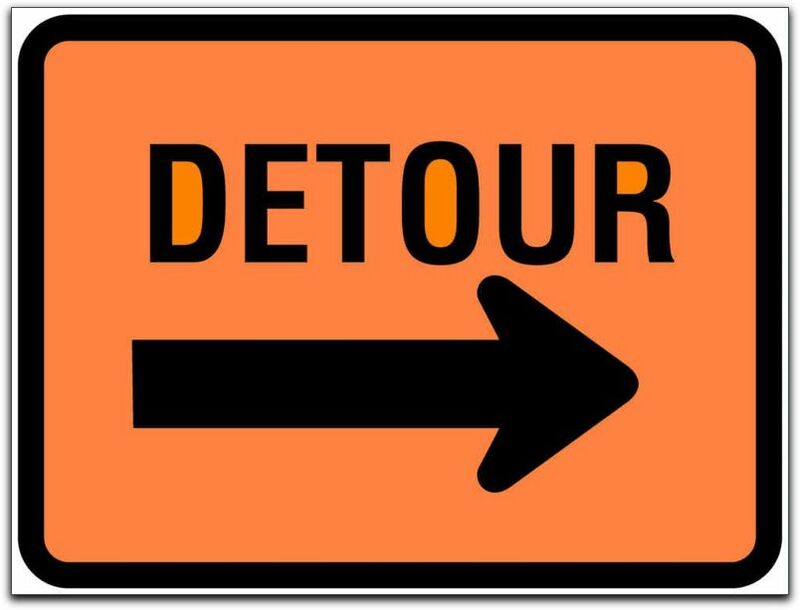 Since our RVing lifestyle is a major theme for my little space on the Internet, it’s been a challenge for me to figure out what this move means for the direction of this blog. 3 months ago, if you’d have asked me if we were going to continue RVing I would have said yes. But circumstances have changed that’s why our family is taking a different route. 1. The Move to San Antonio. The opportunities for Mark in San Antonio are permanent and traveling is not an option. With what is on the horizon, he would go to work and actually love it! The opportunity was too great to pass up. 2. RVing is NOT Desirable in San Antonio. Our current campground is expensive, (site fee, laundry, & electricity – summer). Add to that, the fact that it is far from Mark’s work, living in our RV has become more of a hassle than something we enjoy. Summer heat will hit in a few months – argh. 4. We are Debt-Free. Yes! This one is huge and it has given us the freedom to move back into a home without a camper payment. 3. We Miss the Comforts of a Home. The novelty of living in an RV wore off and there is no reason for us to continue at this point. That’s blunt but it is honest. We could stay in the RV for the sake of having an RVing blog and bragging rights that we stuck it out. That is just downright silly though. Missing the comforts of home isn’t a major reason, but it is an element so it made the list. On our Facebook page, I mentioned that I’m very busy. Working out at Helotes CrossFit. Finding our Homeschooling routine again after so much transition and business. Embracing motherhood again. I had neglected my kids, the cooking, and the cleaning because I was so busy. I rarely made treats for my kids. I never took them to the park or library. I’m finding my way back to who I am as an at-home mom. Building new relationships and connecting with old friends. This is a HUGE priority for us, and that takes time. The New Lighter Life’s Future? This little space in cyber-world will be going through transition. I have several posts to put up about RVing. I’ll continue to share about this topic as long as I have material that will offer a benefit to you, my faithful readers. 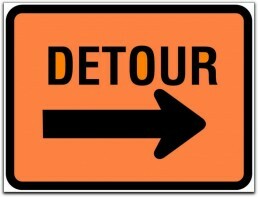 I’d equate this our move back to a traditional home to a detour. I’m excited for our journey. The destination is still the same – Abundant Living Through Simple Means. The path we take to get there is different than what we originally had planned. If you have any RV related questions, please shoot me an email or comment on what you’d like me to post about. Looking forward to what 2014 brings! Living in a camper and prepping meals for a family of 6, has been an adventure. 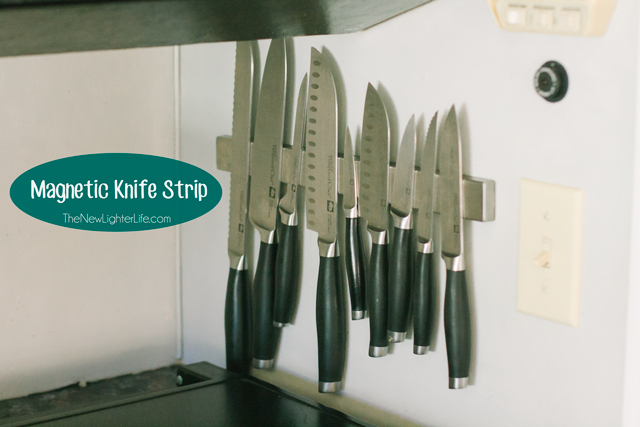 If you’re faced with a small kitchen space, this post will help you not only survive, but thrive in a ridiculously small kitchen. 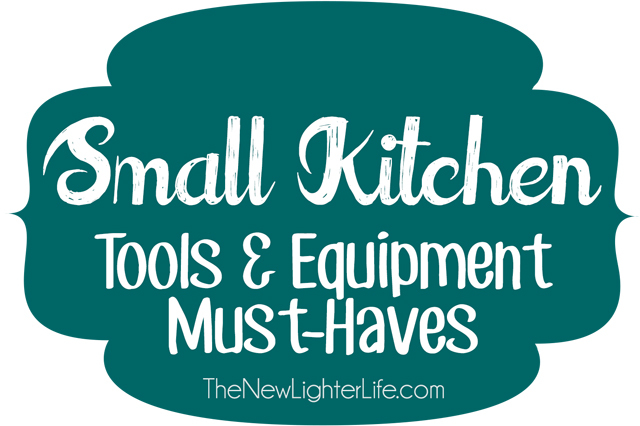 Today I’m sharing my favorite small kitchen tools and equipment to make that tiny kitchen more workable. I use this multiple times each and every day. If you’re an RVer, your sink likely came with an cutting board insert. Ours came with an insert but it wasn’t a cutting board, so we bought this from IKEA for $10. That’s right $10! I place this over half the sink and it more than doubles my counter space. 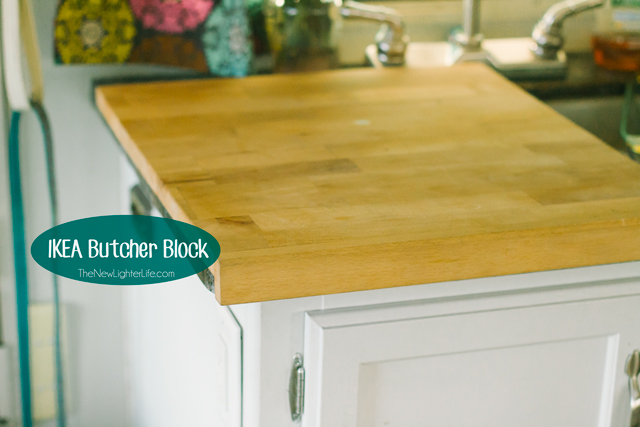 Ditch the knife block and save your counter space. As a Fulltime RVer, I have NEVER had a knife fall when we’ve been driving. These nifty strips are strong, convenient and a space-saver. 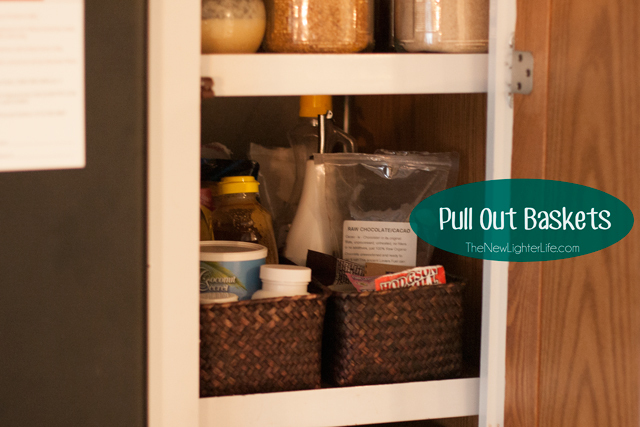 Keeping your smaller items contained in baskets is a perfect solution to reduce your cabinet clutter. I’m lucky enough have really narrow and deep cabinets, (note sarcasm). These baskets not only contain smaller items but allow me slide my pantry goods OUT making them accessible. I love a good yogurt maker and stand mixer as much as the next person. However, if your space is limited there are many appliances you can ditch, (and you won’t even feel deprived). Think outside the box and get creative with how you prep your food. Of my list of appliances the 3 that I’d classify as frivolous and specialty appliances are the waffle iron, bread maker, and toaster. Let’s address those space-wasters and why I’m keeping them. I love my waffle iron and would like to be buried with it, or cremated…I’m not sure but I don’t want to part with it. Someday I’ll make cookies with it, or hash browns, or waffle bread. Then it will all be worth while and I can tout about how it’s multipurpose. My bread maker has one foot out the door. I stopped buying bread for the kids and started making my sprouted whole wheat bread again. I don’t want to fuss with my RV oven so I have the bread maker. It’s history once we replace our microwave with a convection oven/microwave combo. I promise – it’s almost gone. My toaster is so not necessary, but we can fit it in the cabinet. We don’t use it often and if we were even more pressed for space, we’d ditch it. You can fit it comfortably in your small kitchen. My FAVORITE multipurpose appliance is my immersion blender. I use that baby to blend up black beans for Black Bean Chocolate Chip Cookies, make whipped cream, Tangy Italian Salad Dressing, or my Low Carb High Protein Pancakes (and more odd jobs). 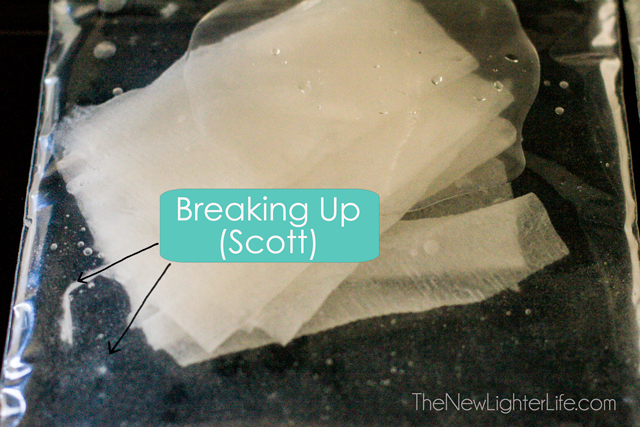 Final thought on this – I highly recommend keeping the appliances you use. You need to decide which appliances are worth the space they take up in your small kitchen. These are perfect for smaller cabinets to make sauces and condiments more accessible. 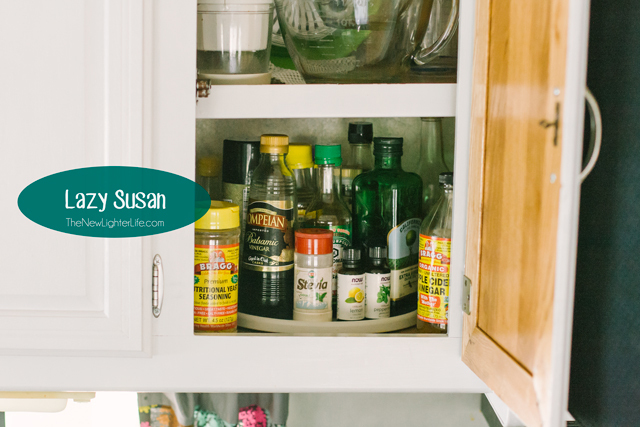 Instead of stocking a cabinet full and having a jumbled mess, lazy susans keep everything at hand’s reach with a simple spin. Space is prime real estate and this only makes sense. Salad spinners, collanders, bowls, measuring cups, even funnels. There are many collapsible items available. This little puppy cost all of $4 and it saves space in comparison to a regular metal or plastic drying rack. 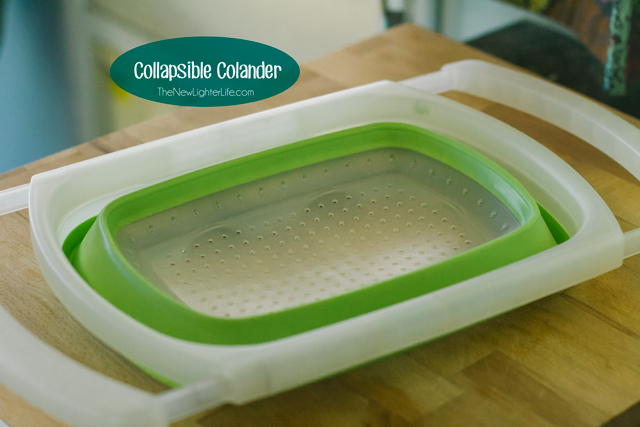 If you’re in a tiny kitchen, your standard drying rack gobbles up sink, counter, or cabinet space. 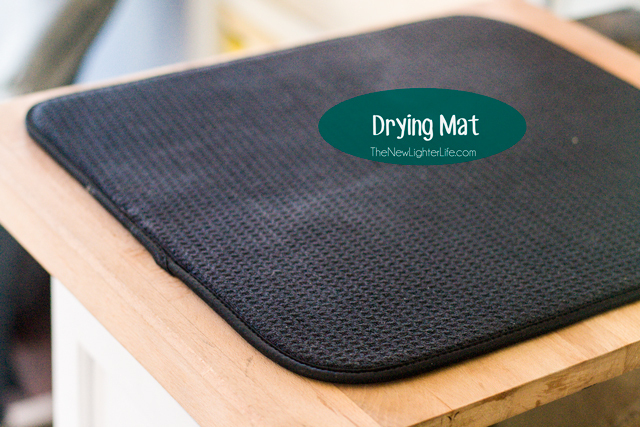 A drying mat serves our purposes well. 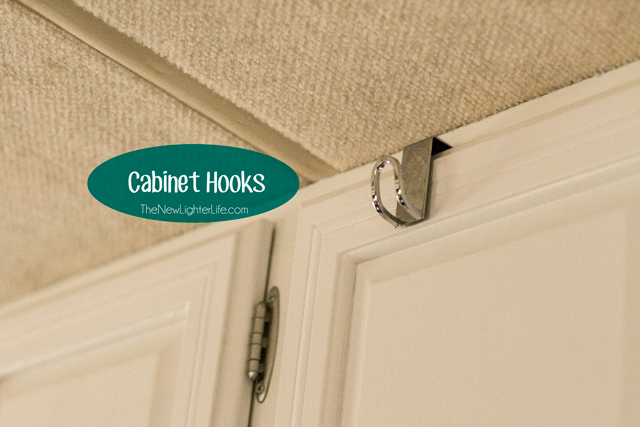 My last recommended tool is a simple one, cabinet hooks. 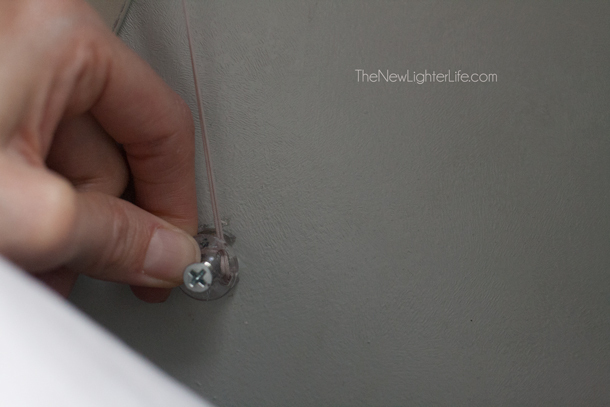 These are so convenient and slip right over the edge of a standard cabinet door. We use ours for hanging our drying rack in the kitchen to dry, (and to hang my purse, and towels in the closets/bathroom). So that is my list of Small Kitchen Tools & Equipment Must Haves. If you have any you’d like to recommend, I’d love to hear it!